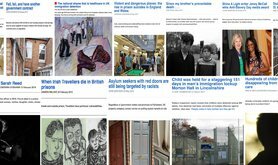 UK investigative reporting on immigration detention and removal, deaths in state care or custody, prisons and child prisoners, outsourcing and austerity. What is Shine A Light? Shine A Light is a UK-based investigative journalism project that works to expose injustice, prevent harm and give voice and ammunition to people working for a better world. We produce systematic, in-depth and original research and reporting here on opendemocracy.net. Everything we publish is grounded in rigorous research. Mindful that investigative journalism’s workforce is disproportionately privileged and white, Shine A Light promotes inclusion by persuasion, and we lead by example through our commissioning, teaching and paid-internship—see this Nieman Lab story. We teach and run workshops on investigations, writing and storytelling. We love to collaborate. Shine A Light is led by acclaimed investigative reporters Rebecca Omonira-Oyekanmi and Clare Sambrook. Rebecca’s reporting has won honours from Write to End Violence Against Women and the Refugee Council. She has been twice shortlisted for the Orwell Prize. Clare’s honours include the Paul Foot Award and Bevins Prize for reporting that led to the UK government’s pledge to abandon its child detention policy. At the centre of our work are people and their lived experience. Our work is informed by testimony from people who have experienced injustice, by activists and community organisers like SYMAAG (South Yorkshire Migration & Asylum Action Group), by lawyers, and by research from effective independent charities including INQUEST, Article 39 and The Howard League. We share skills, contacts and intelligence with activists, community organisers, researchers, charities and lawyers who have access to stories of injustice but need support in getting their message out. We help people to craft their writing. Working with asylum seeker tenants and South Yorkshire Migration & Asylum Action Group in Sheffield, February 2018 | Image by Manuch at SYMAAG. Since late 2013 we have relied on one-year funding grants, making fresh applications every year, to sustain our investigations and outreach work. We’ve been grateful for support from independent progressive funders including the Bertha Foundation, the Roddick Foundation, the David & Elaine Potter Foundation and Omidyar Network. We are currently part-funded—by the Bertha and Roddick foundations. To fully fund our journalism, commissioning, internship programme and outreach work, we need to grow our funder base and work in partnership with funders longer term. We welcome opportunities to discuss our work. We’d like to engage with funders, small and large, who want to challenge structural inequalities and support and nurture reporters whose talent, hard work, lived experience, and strong commitment gives them the potential to become brilliant investigative journalists. If you can help keep Shine A Light investigating and nurturing good journalism, please consider making a donation. We are fundraising to pay decent rates for freelance investigative reporting, photojournalism and illustration. If you’d like to work with us, please, first, get familiar with Shine A Light’s work, then send us a just a brief note about the story you’re working on, and tell us a bit about yourself. You’ll see that we rarely publish straightforward comment pieces or hot takes. Shine A Light articles tend to be investigative or reported articles, by people with lived experience of injustice, by their advocates and allies. We publish work by paid professionals who can provide expertise or insight on challenging injustice in our story areas. We work with writers to develop their journalism; our editing process involves fact checking, crafting and redrafting. We will give detailed feedback and support you to develop your ideas. 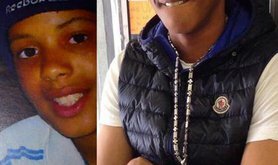 Shine A Light (and Clare Sambrook before Shine was funded) has reported on UK government policies and the abuses of the Home Office and their commercial contractors (G4S, Serco, Tascor, Mitie) for nearly a decade. The project grew out of ‘End Child Detention Now’, an aggressive and unfunded campaign run by Clare Sambrook and five friends, that combined investigative journalism, student activism, legal challenge, medical research, faith groups and political pressure. 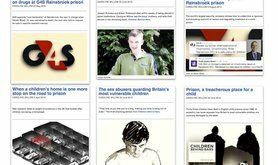 The campaign recruited dozens of British children’s writers, created a surge in media reporting, and was credited with helping to change the UK government policy on immigration detention (Coalition Agreement, May 2010). For her part, Clare won both the Paul Foot Award and Bevins Prize for outstanding investigative journalism in late 2010. 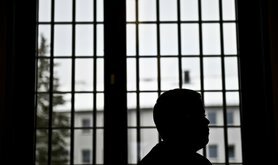 Funded since 2014, Shine A Light continues to scrutinise immigration detention and removal, expanding to include investigative reporting on the punitive deployment of dangerous restraint against child prisoners, children in secure homes, asylum seekers, and others. Shine A Light reporters have exposed the impact of austerity politics on vulnerable lives, the attack on legal aid, and the neglect and abuse of asylum seekers by their private sector landlords.